Iconic British cooking brand, Stoves, is proud to partner with Soho House & Co’s newest UK house, Soho Farmhouse, providing made-in-Britain, custom-finished cooking appliances for its Oxfordshire property. Soho Farmhouse sits across 100 acres of rolling countryside and boasts 40 wooden and tin guest cabins set along the lakefront. All one-bed, two-bed and three-bed cabins each have their own fully-equipped kitchens, featuring a custom-finished 900mm induction Stoves Richmond range cooker in a specially-created Soho Farmhouse Green, which was co-designed by Nick Jones. Cookhouse, the onsite cookery and cocktail school, offers guests the opportunity to learn or improve cooking and cocktail-making skills. For Cookhouse, Stoves provided 12 SEB600FP built-in single electric ovens in a modern stainless steel finish. 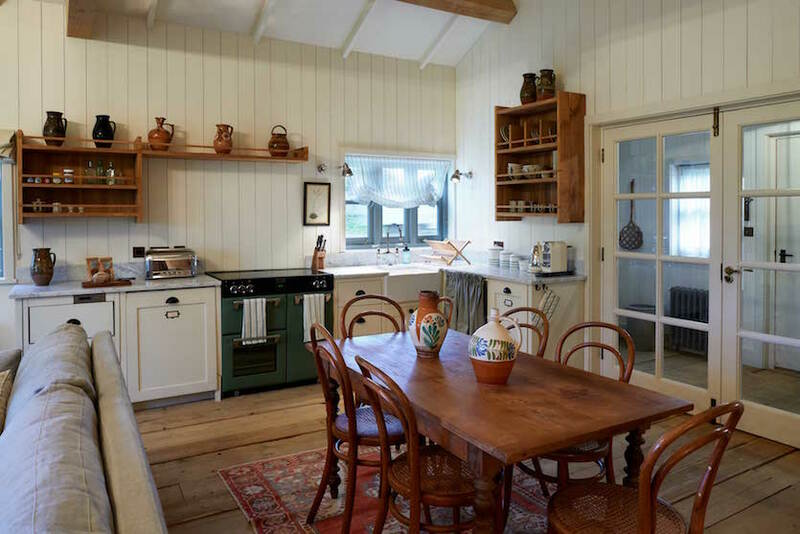 The four-bedroom cottage and seven-bedroom farmhouse also boast a 1100mm Richmond range cooker in Soho Farmhouse Green, with co-ordinating hoods and an American-style side-by-side fridge freezer. Jane Rylands, Head of Marketing Communications for Stoves, said: “As a proud British manufacturer, we couldn’t be more honoured to be partnering with Soho Farmhouse. “Such a beautiful and well-designed location provides the perfect backdrop for our appliances and the interiors team has done a wonderful job of creating a stylish look for all the kitchens. Stoves is part of the UK’s only major cooking appliance manufacturers committed to producing built-in hobs and ovens, and freestanding and range cookers here in the UK. From its factory in Merseyside, Stoves builds ovens, cookers and hobs designed and built with British cooks in mind.